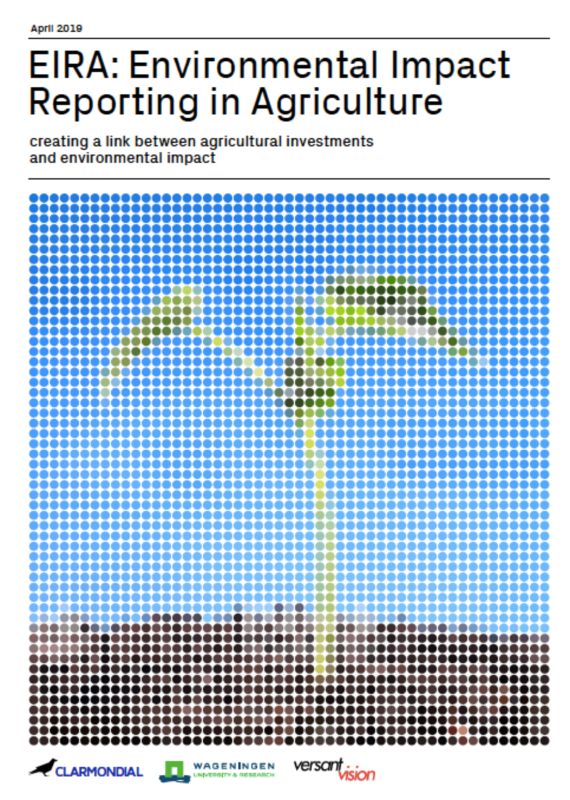 Steps to address this increasingly urgent need are outlined in a new report, “Environmental Impact Reporting in Agriculture (EIRA): Creating a link between agricultural investments and environmental impact.” [PDF] This report builds on a 2018 feasibility assessment conducted by Clarmondial AG and Wageningen Environmental Research (WEnR) with support from EIT Climate-KIC’s Climate-Smart Agriculture (CSA) Booster. Core elements of the EIRA tool will include a methodology for aggregating fragmented data sources and an interface for tool users to customize outputs to specific geographies and commodities. Output metrics will be used to compare the environmental impact of specific value chains and transactions against baselines over time and across investment portfolios. Wageningen Environmental Research (WEnR), is one of Europe’s leading food and agricultural research institutions, based in the Netherlands.